Photos from 2005 / 2010. 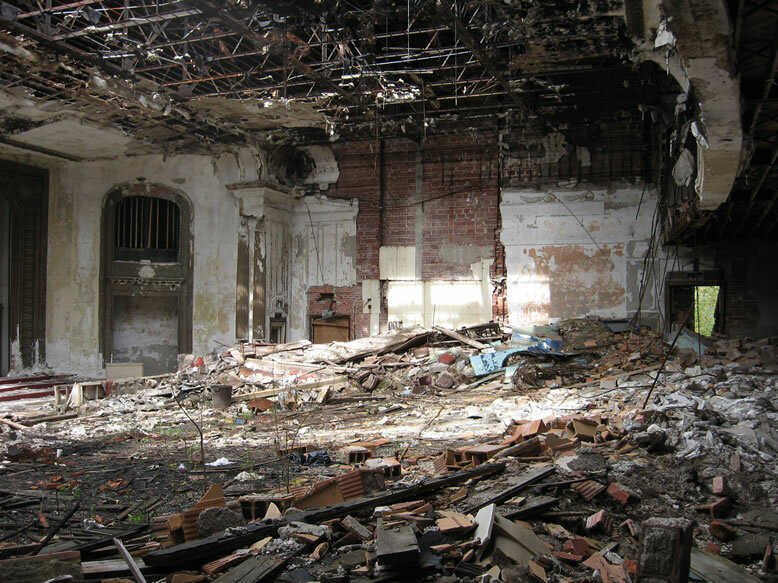 I first ventured to Flint, Michigan looking for asbestos to snort in April, 2005. The Hotel Durant is mainly what drew me there. I snuck in alone through a scummy hole in the back that involved climbing down into a wreckage-choked elevator shaft and skirting around the edge of a long drop into a flooded pit on slippery tufts of plaster detritus. Perhaps my memory is magnifying the experience but I do remember it being fairly hairy. 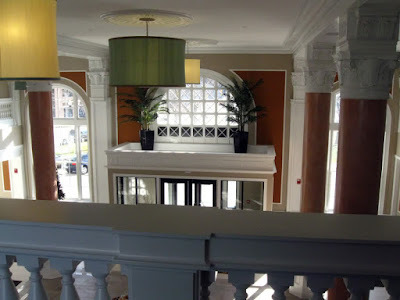 Today however, one does not need to go to such lengths to experience the grandeur that is the Durant's lobby; the building is fully renovated and people live there now. 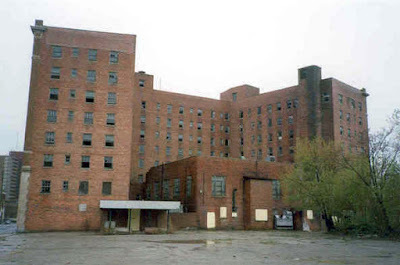 This post is dedicated to those "experts" who declare that places such as the Detroit Statler and Madison-Lenox hotels are "too far gone" to be saved. 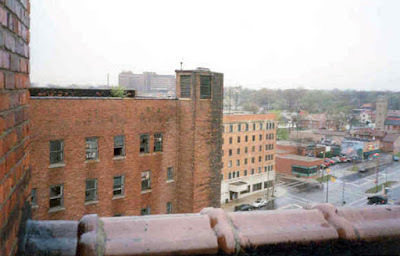 When I heard in December 2010 that the hotel had been renovated into apartments, I made a trip up to Flint to check that out while simultaneously scoping the situation at what was left of the monstrous "Buick City" plant, which would be demolished soon. 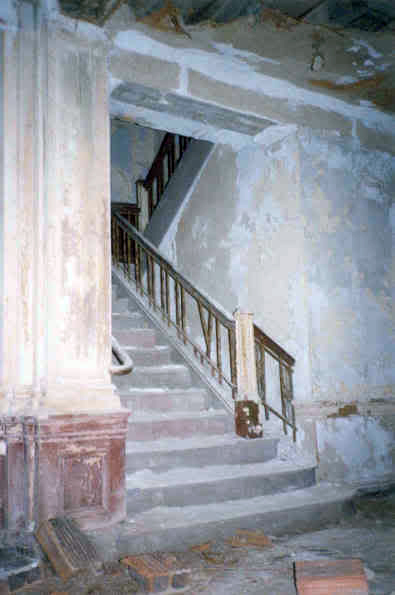 All of these photos are from my initial visit in 2005; photos of the renovated Durant follow at the bottom of this post. 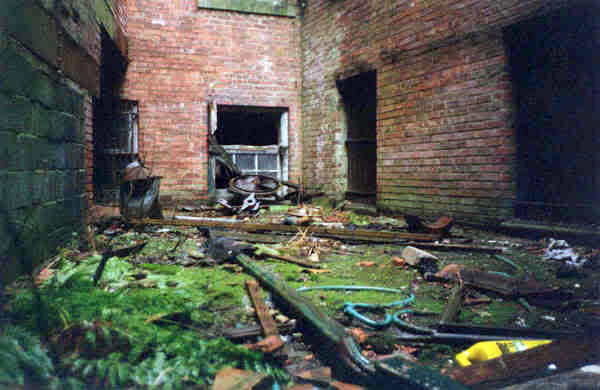 Unfortunately I only had my ancient 35mm point & shoot Kodak with me, so the pics I took then are junk. And somehow I managed to miss the hotel's ballrooms. As Flint blossomed as an automotive boomtown in the early Twentieth Century, civic leaders desperately wanted a new hotel. It was reported that the current hotels of the day were turning guests away due to the sold out occupancy rate. In December of 1916 the Citizens Hotel Company, lead by Fred Aldrich, long time associate of Dallas Dort and William Durant, was organized by 40 stockholders, which included C.S. Mott and Arthur G. Bishop, for the purpose of building a new hotel on Second Ave. The name of the new hotel was unveiled at a civic dinner in honor of Wm. C. Durant, then President of General Motors. He immediately pledged $300,000 toward the project. The hotel was supposed to have been rushed to completion within a year for a cost of $650,000. Instead it took three years and cost $2.5 million. World War I was one of the biggest reasons for the delay. A disagreement over who would run the hotel also delayed the opening. An agreement was finally signed with the United Hotels Company. 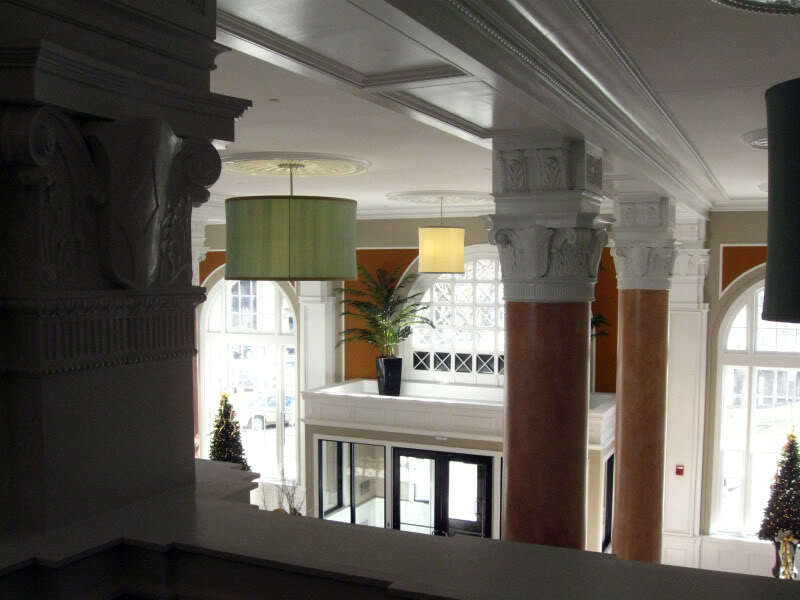 This hotel was designed by the architectural firm of Esenwein & Johnson, based in Buffalo, New York, according to the National Historic Register. I decided to skip most of the guest floors and go to the top floor. The place was in pretty rough shape, but I could tell that it was pretty swank at one time. William C. Durant was a bit of a tragic figure; he founded the world's largest, richest corporation, but died virtually penniless and unknown. Unlike Henry Ford and Walter Chrysler, his name was never directly attached to a successful car. 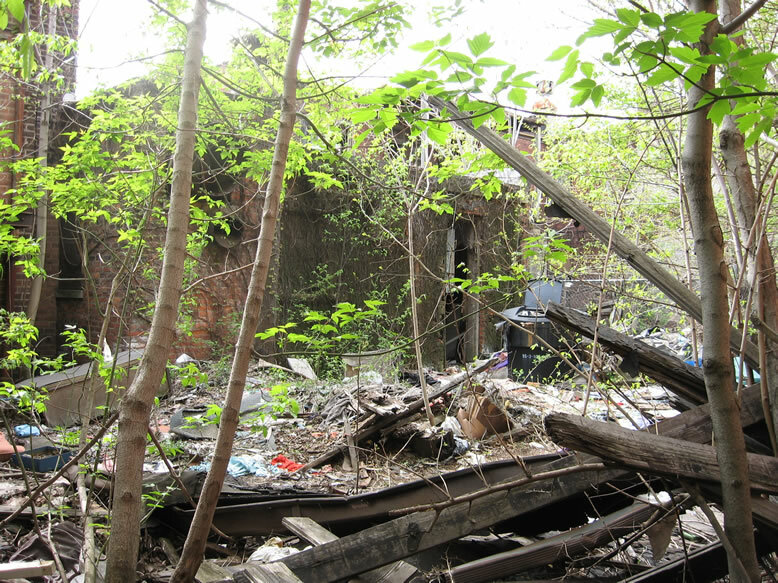 Durant built the empire that put Flint on the map. 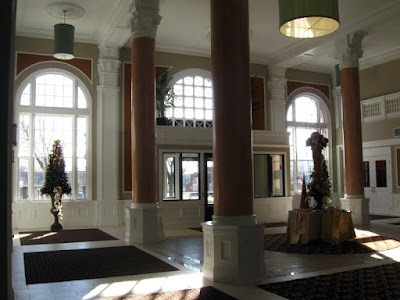 In the process he also spurred the creation of Flint's premiere hotel, a luxurious palace that was the jewel in the crown of the Vehicle City's prosperity and became the center of its business community. 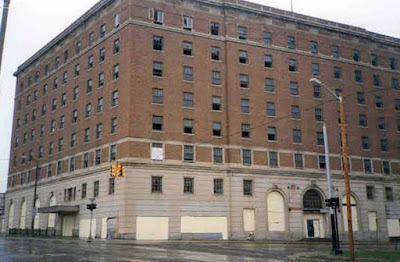 Just as the Pontchartrain Hotel in Detroit was the epicenter of the Detroit auto industry, so too was the Durant Hotel the center of the Flint auto industry. 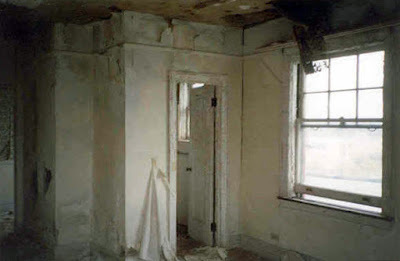 Rumor had it that Billy Durant had his own private room set aside for his personal use, since he practically lived there due to the fact that he traveled between Detroit and Flint so much in those days, conducting business. In the 1920s, travel between these two cities—which today are less than an hour's car ride apart—used to be much more strenuous and time consuming. The 264-room hotel opened on December 14, 1920 with Governor Albert E. Sleeper being the first registered guest followed by the distributors of the Dort Motor Car Company where Fred Aldrich was an officer of the company. A Grand Opening was held on News Year's Eve complete with dedication speeches and dancing. Over 500 of Flint's finest were included in the affair. The hotel was a hit and was consistently filled to capacity with businessmen, social gatherings, and meetings for the local auto manufacturing plants. 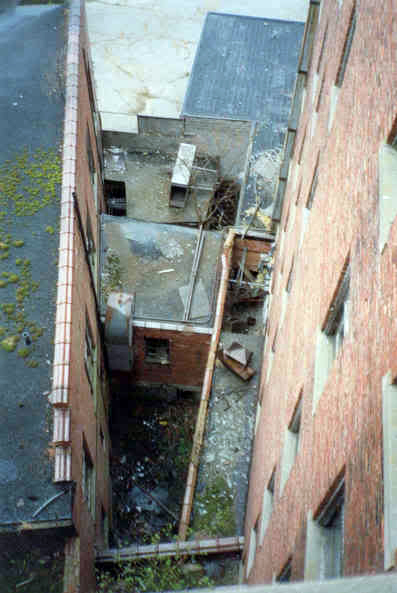 Business was so good that an addition was added to the rear of the building which included more rooms and a new ball room and service area. An eight room suite on the sixth floor was named the Durant Suite in honor of Billy Durant. 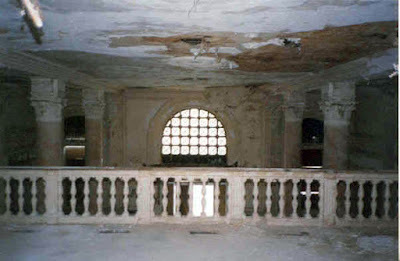 This space later became home of the Flint City Club. This was the Durant Suite—Room 554, once the fanciest room in the whole joint. 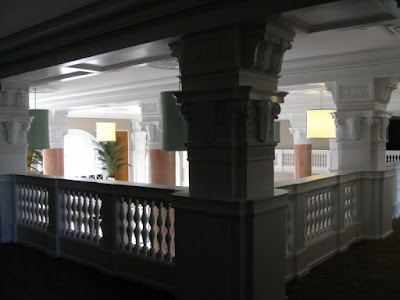 The first floor of the hotel offered a complete shopping district in itself. It was complete with a jewelry store, florist shop, fur shop, hat store, men's store, lingerie shop, shoe store, appliance store and a branch of the Genesee County Savings Bank. Two popular areas of the hotel were the Purple Cow Restaurant located on the Saginaw Street side of the hotel that featured murals of a purple cow telling a story of the people who ate at the restaurant. The Wheel Room was a very art deco lounge where the glass tables were made to look like steering wheels from a car, and the back bar was emblazoned with the Chevrolet logo. Famous entertainers and visiting politicians would often stay at the Durant when performing in Flint; some of them included Frank Sinatra, Glenn Miller, and Doris Day. 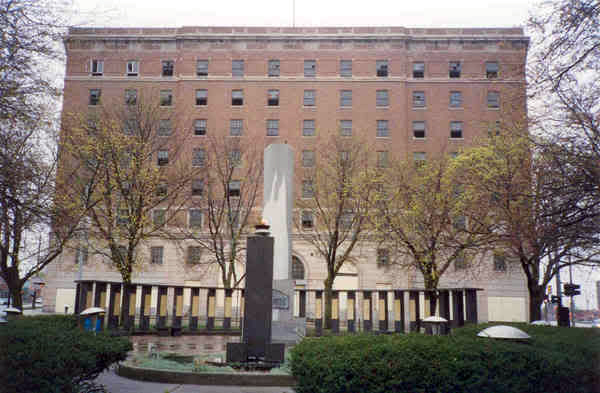 The hotel became Governor Frank Murphy's base of operations when he came to negotiate an end to the violence between authorities and the UAW during the infamous "Flint Sit-down" strike of 1936-1937. Perhaps only the recent water crisis has eclipsed the great Sit-Down in terms of putting Flint on the world map. The Durant began experiencing problems in 1939 when guest numbers slowed even though the hotel had been completely refurbished a few years earlier. Economic times were tough and the hotel mortgage was foreclosed on and put up for auction. Metropolitan Life Insurance purchased the hotel in 1940. A year later the hotel was in default again. In June of 1942 a new management contract was signed with the Albert Pick Hotels Corporation in Chicago. They took full ownership of the hotel, renaming it the Pick Durant Hotel. 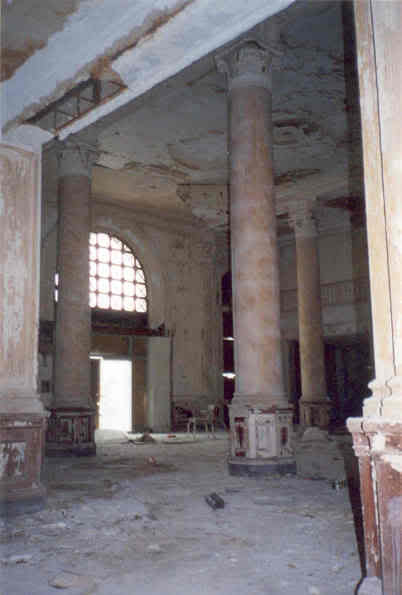 The next two decades would be prosperous ones for the Durant as it continued to be utilized by General Motors for meetings. 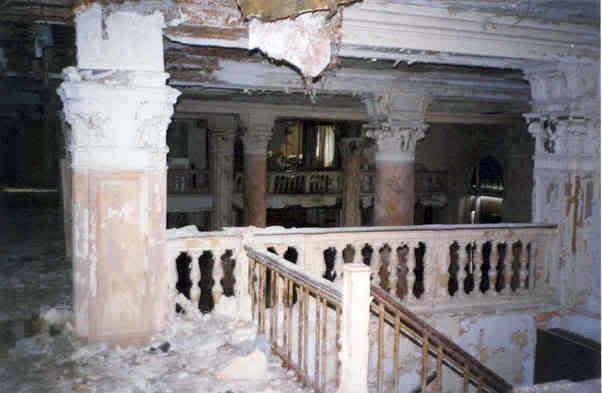 The ball room was heavily damaged by fire in 1960, a week before a major Buick Sales Convention was to be held. Contractors were able to completely refurbish the room complete with new floors, ceilings, and light fixtures in time for the convention. 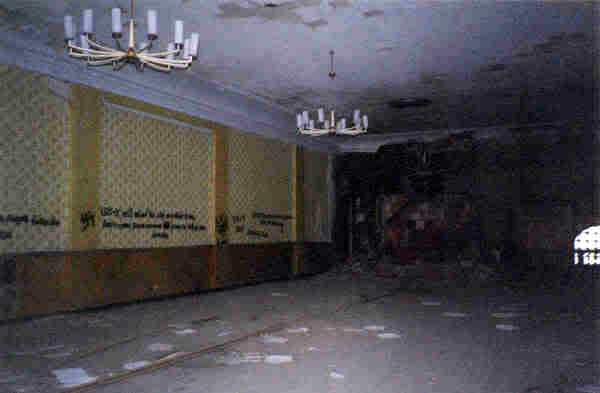 By 1968 it was thought that the hotel would be sold again, but the Pick Corporation announced new remodeling plans a year later. Rooms were made larger to create hospitality rooms and large twin bed rooms. 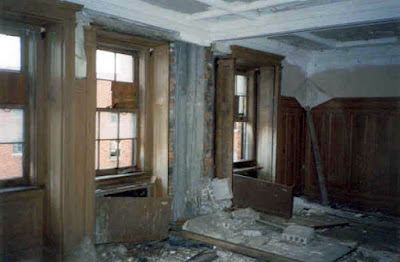 Each room was given controls for heat and air conditioning. 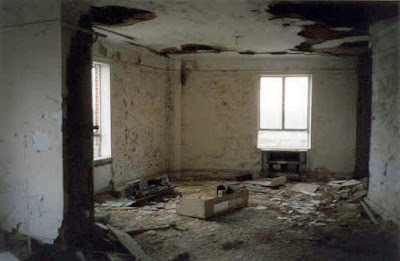 Every room received a color television. A driveway entrance was added to the rear of the building with a direct connection to the lobby. 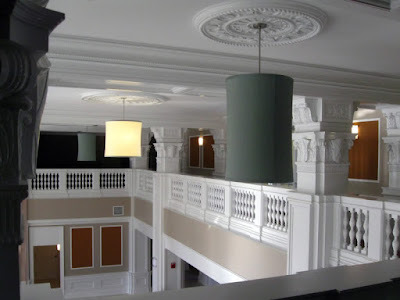 The Royal Scot Grill served lunch and dinner on the first floor, the Candlelight room, the original ballroom, became a private banquet and meeting room. The hotel finally closed in 1973, and resisted several attempts at resuscitation by different developers. The Genesee County Landbank acquired the building in 2005, who luckily seem to have their act together much more than Wayne County. 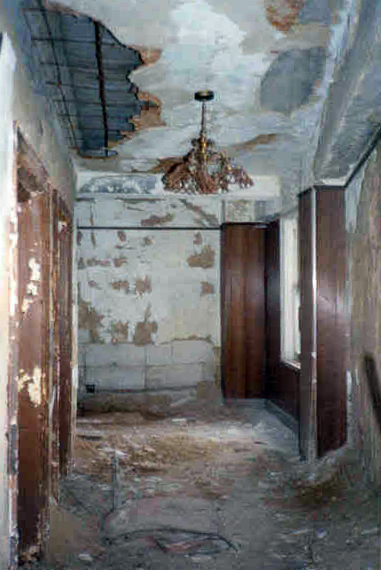 The property was preserved and found its way to a new owner. 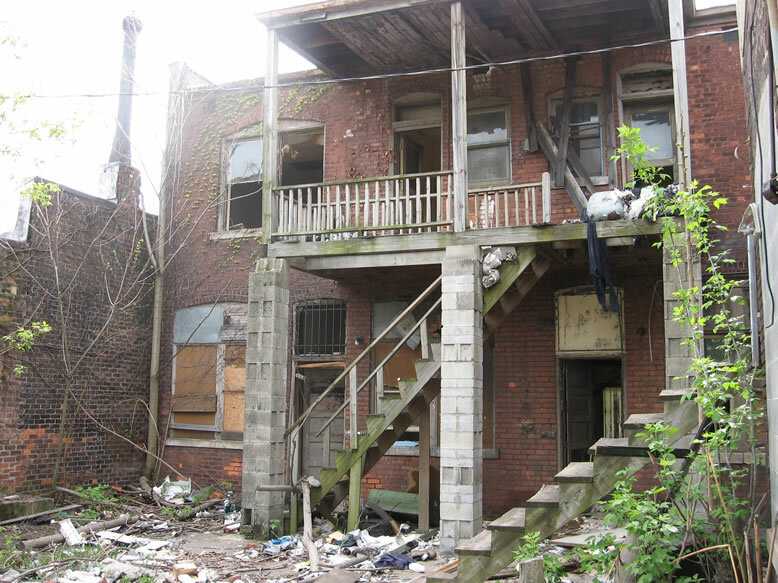 I guess pandering to billionaire pizza baron land speculators with itchy wrecking-ball fingers is not the accepted norm there, which may come as shocking news to Detroiters. The hotel is briefly visible in the historic footage in the beginning of Roger & Me. 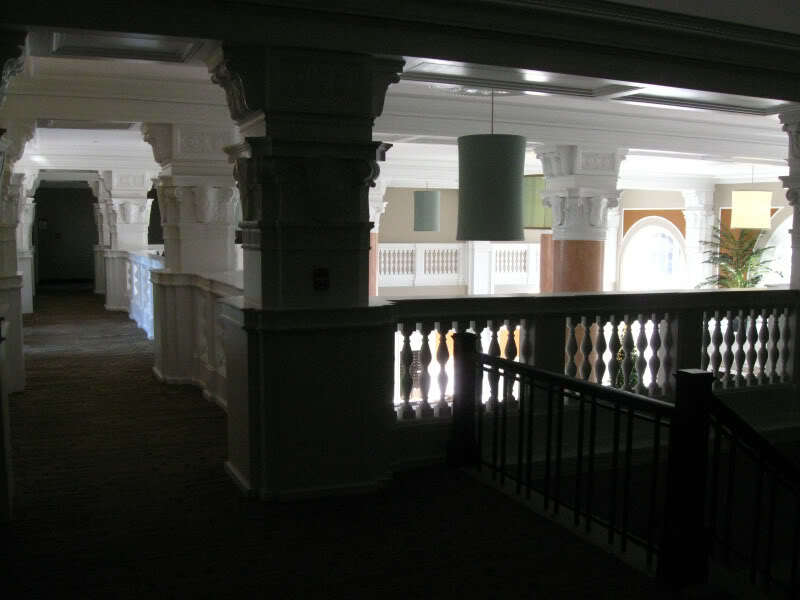 When I returned to the now renovated Durant, I found it strangely deserted...there was no front desk and no one was around...it was a little bizarre. So I re-explored the place a bit on my own, and re-photographed areas that I remembered photographing five years prior. It was a bit odd. Durant's life story is even more interesting than that of the hotel that bears his name. The grandson of a former Michigan governor and lumber baron, Durant was a bit of a maverick, but he did more to build General Motors than any other man. In 1904, he moved Buick production to Flint, and soon Buick was the top producer in the world, and Flint was one of the premiere cities to live in America. Durant became Buick's president, and established Champion Ignition and other parts suppliers. 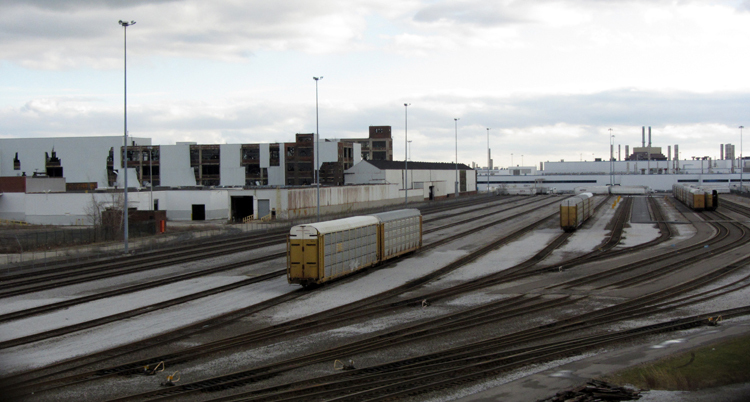 Before General Motors, Flint produced railroad cars but basically was just a nowhere place after the lumber business dried up. It was not on a major river, and was even further off the main trade routes than Detroit. 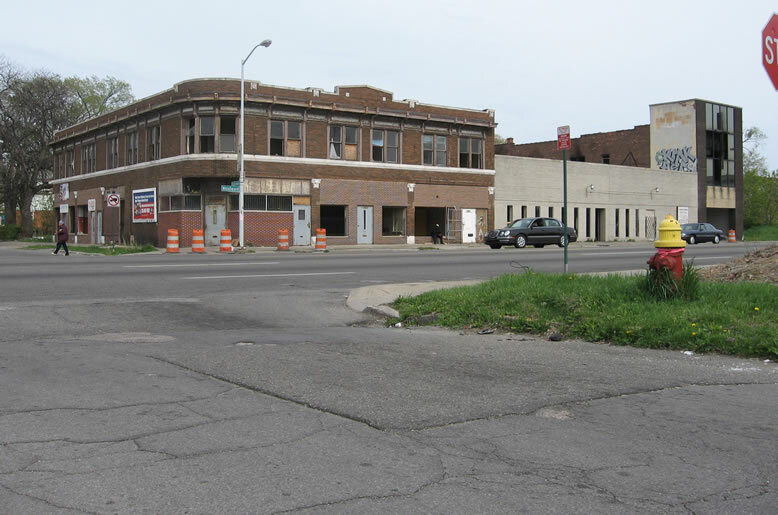 Durant turned Flint into the rival of Detroit with the headquartering of flagship Buick, A.C. Spark Plug, Fisher Body, and Chevrolet plants here in the first quarter of the 20th century. Durant founded General Motors in 1908, and the stock it issued allowed him to purchase Buick Motors. Six weeks later, he bought Oldsmobile. He then acquired the troubled Oakland Motors (which became Pontiac), then set his sights on Cadillac and AC-Delco. He also created the Frigidaire company. Within 18 months, he had acquired substantial interest in about 30 carmakers, but overextended himself and lost GM to the banks. Durant was a terrible businessman, but an amazing salesman. Undeterred, he quickly teamed up with flashy, popular race car driver Louis Chevrolet, and formed Chevrolet Motors. Through his fast-paced wheeling and dealing, Durant used the profits from that enterprise to regain control of GM in 1915. By 1920 however, his recklessness and incompetence at management cost him the company again and he was forced to resign. He still had a plant in Lansing and he signed a deal to build and market the Mathis, a small French car. But in the depths of the Depression, it never got off the ground. In 1936, William Durant filed in bankruptcy, claiming debts of $914,231 and assets of $250. While obviously heartsick over his financial reversals, he seemed enthusiastic about his new business and planned a nationwide string of bowling alleys. In 1940—still undeterred—Durant opened a bowling alley called the North Flint Recreation Center (located practically in the shadow of the gigantic Buick plant he built three decades earlier). Always thinking big, he had plans for 50 such bowling alleys across the country. Durant firmly believed that this would be the next craze, that one day the bowling alley would be an indispensable element to every residential neighborhood. He died, destitute, before he could see the truth of this. As it turned out, country music star Dusty Owens worked as a pinsetter at the North Flint Recreation Center while in high school. On the night of October first, Durant lay in room 554 of the hotel that bore his name, turning over in his mind a list of business prospects...then he awoke realizing that something terrible was wrong. He tried to rise from bed, but toppled over to the floor, partially paralyzed. He managed to get to the phone to reach Fred Aldrich...on December 15 he left by ambulance for Detroit and the train ride home. He didn't know it then, but he was never to return to Flint. William Durant died in New York City in 1947—the same year as Henry Ford. 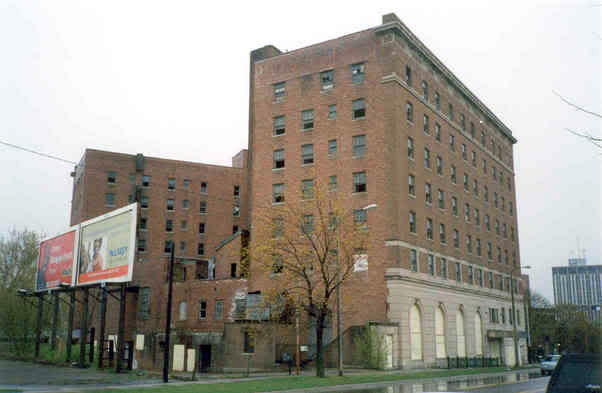 The old address was 11520 Woodward Avenue. According to WaterWinterWonderland, it opened in 1915 and closed in 1954. 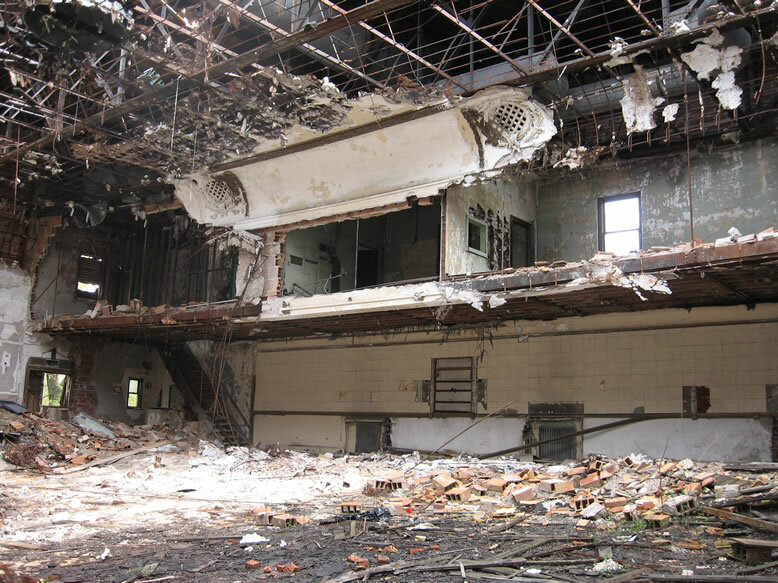 One former patron who lived in the neighborhood recalled that the Rosedale used to host a pie-eating contest during intermission on Saturdays. Usually the Saturday programming was geared toward kids and tickets costed 12 cents. On Sundays, the movies would change up and the tickets were 14 cents. According to cinematreasures.org, the Rosedale was designed by Detroit architect William Buck Stratton. 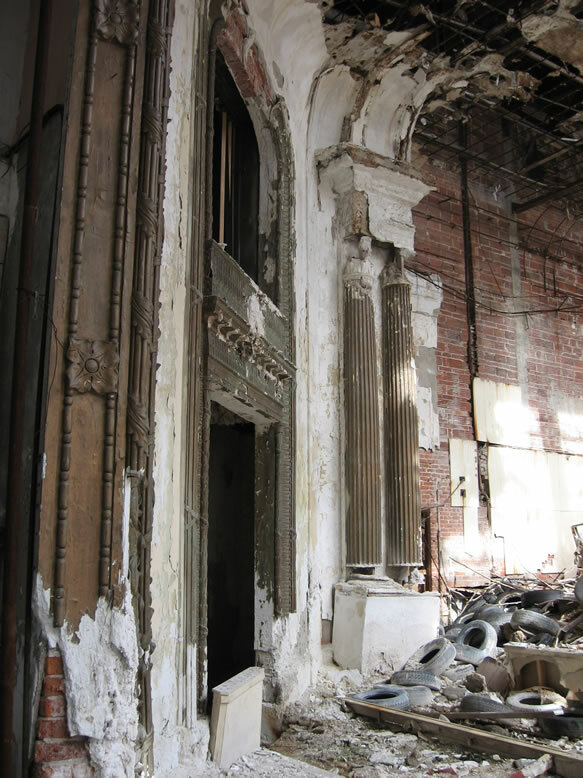 He also designed the Jewel Theater on Gratiot Avenue. Stratton is better known for his work on Pewabic Pottery, the Women's City Club Building, Brodhead Naval Armory, and the Scarab Club. 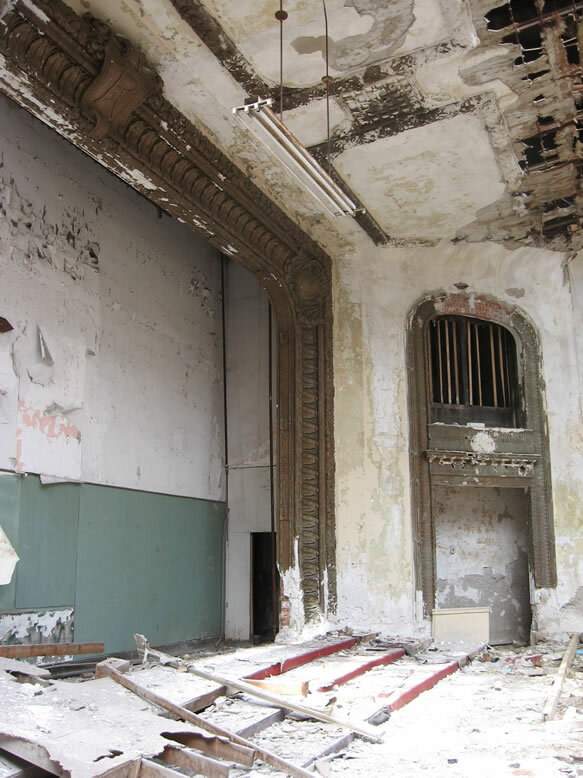 The Rosedale Theater had a Velvet Gold Fibre Screen installed, according to the 1917 Michigan Theater Review. This invention was marketed by one L.J. Gardiner of the United Theater Equipment Co. of Detroit. According to its advertisements, the Velvet Gold Fibre Screen would save the proprietor of such an establishment up to a mind-boggling $5 on his electric bill every month. It was also claimed to have been more durable and longer lasting than any other screen. UTE's full-page ad went on to boast that six of the major downtown Detroit movie houses at that time were using his screens (Majestic, Madison, Washington, Adams, Broadway-Strand and Drury Lane), as well as New York City's most fabulous palaces, the Rivoli and Rialto Theaters. Other blurbs in the Michigan Theater Review mentioned many other theaters across Michigan that had Velvet Golds installed. 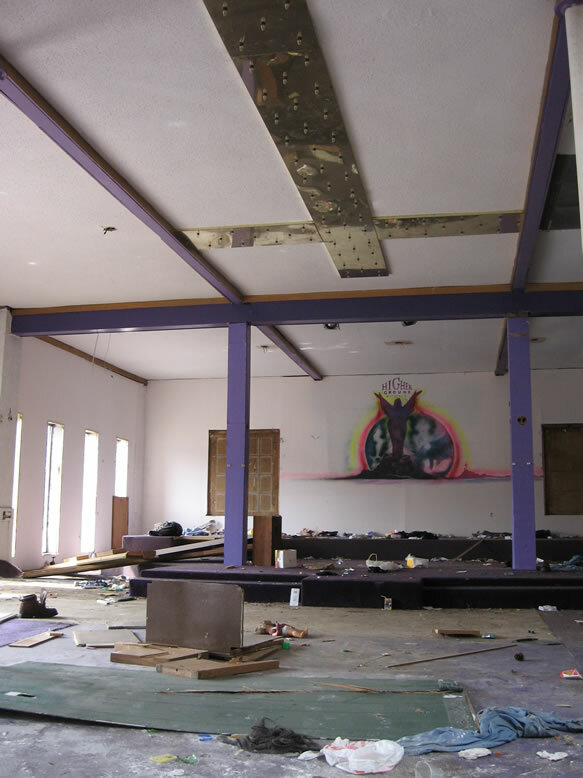 The defunct Rosedale was bought in 1955 by Pastor Bishop C. L. Morton, Sr., whose congregation, Greater Mount Zion Church of God in Christ, held church there until the 1970s. 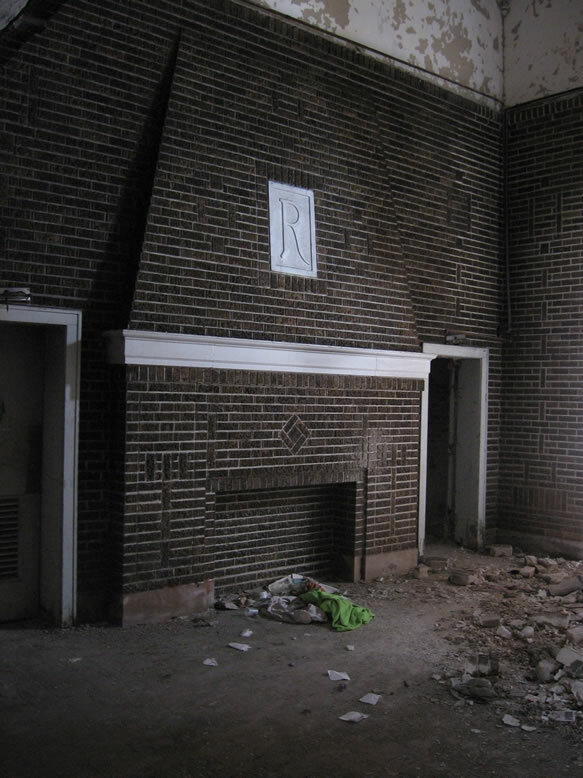 Here's another "R" on the centerpiece of the proscenium...what do you suppose it stands for, rubble? 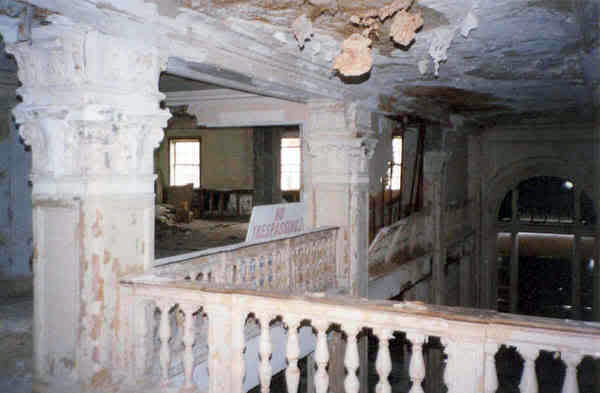 From the photos at the cinematreasures link, it seems as though some of the ornamental plaster work was thankfully salvaged before the place was demolished. 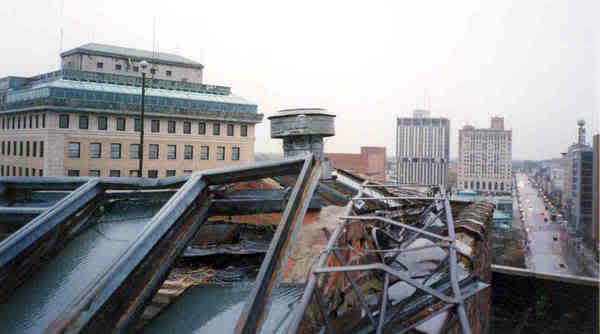 There wasn't much left of the place. 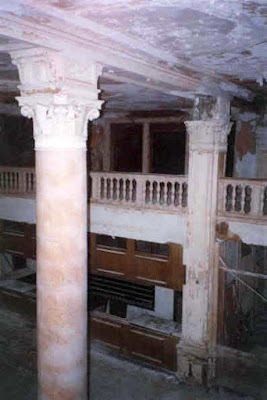 A Kimball 2/12 theater organ was supposedly original to the building, but was not still there as far as I could tell. 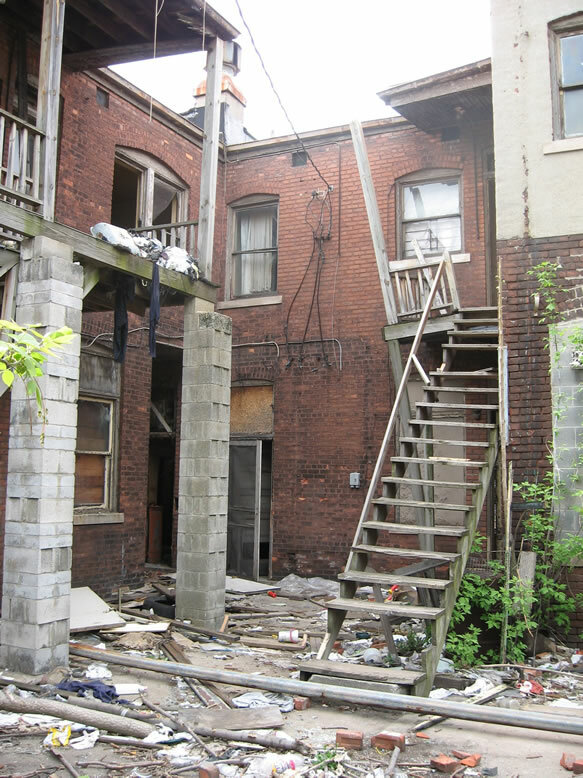 The older building on the north corner of the block was last used as apartments, it seemed, but it looked like a mass eviction had taken place at some point in the recent past. 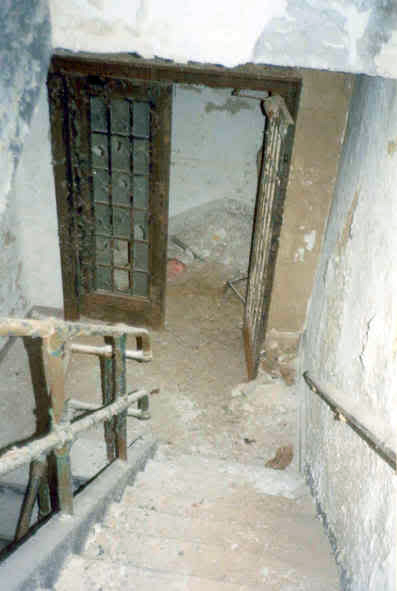 ...We looked down the stairs into the dark and could see a raging river coursing past the bottom of the steps! The strong odor of chlorinated water emanated up from below as well, smelling like a mall fountain. 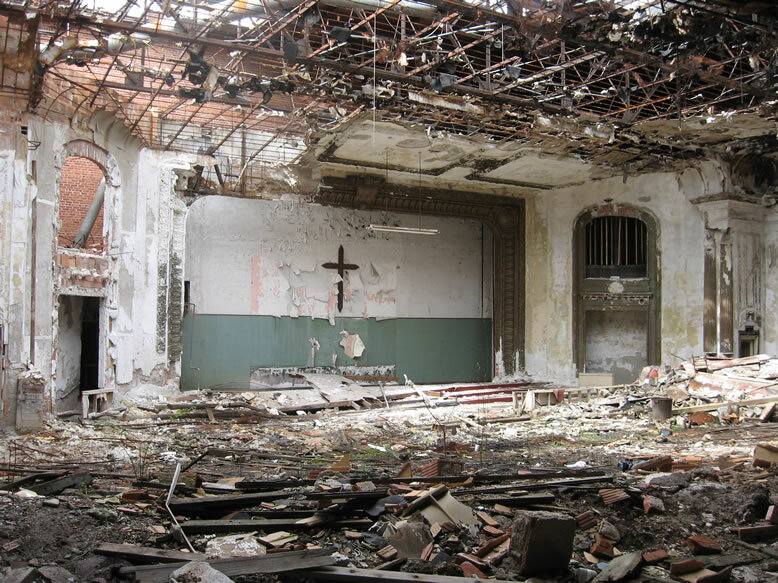 The Rosedale Theater, and Higher Ground Ministries were demolished in June of 2007. Today the lot is still vacant, seven years later. Unbeknownst to many Detroiters, there is another old 1920s-era auto plant nestled within the white sheetmetal-clad expanses of Chrysler's more modern Jefferson-North Assembly and Mack Stamping Plants. It is not that readily visible to passing motorists, though if you looked closely and peered into the complex, you could easily spot it. 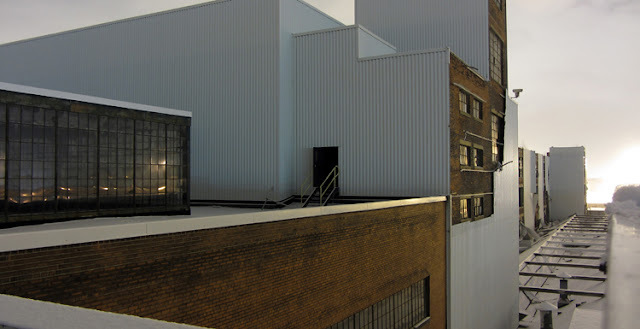 In recent years some of the white metal cladding has peeled off of the disused portion of Chrysler's fading empire, revealing the classic Albert Kahn-style factory beneath. This 86-acre plant's name is Budd Wheel, but it was originally built by the Liberty Motor Co. in 1920. As you can see, the sea of asphalt that now surrounds the fortified compound is used as a holding pen for freshly-assembled cars off the line at the Jefferson-North Plant. 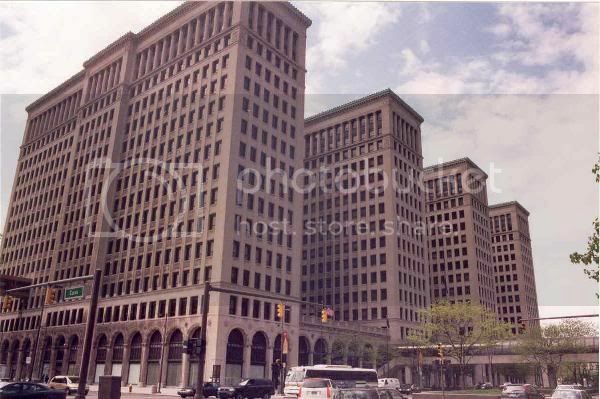 This is not the classic style of Detroit auto plant where, like the Packard for instance, the buildings go right up to the streetcurb. 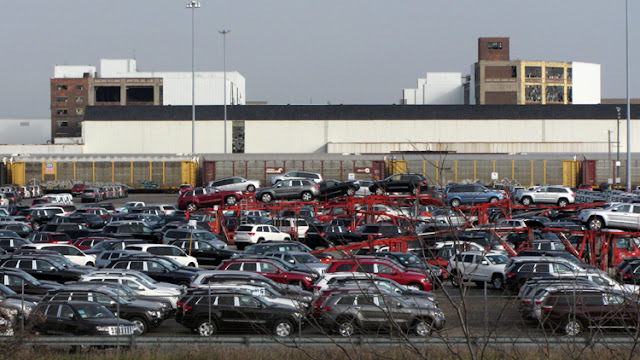 There is a vast surround protecting the modern suburban-style auto plant within a tall fence, making them seem like self-contained fortresses. 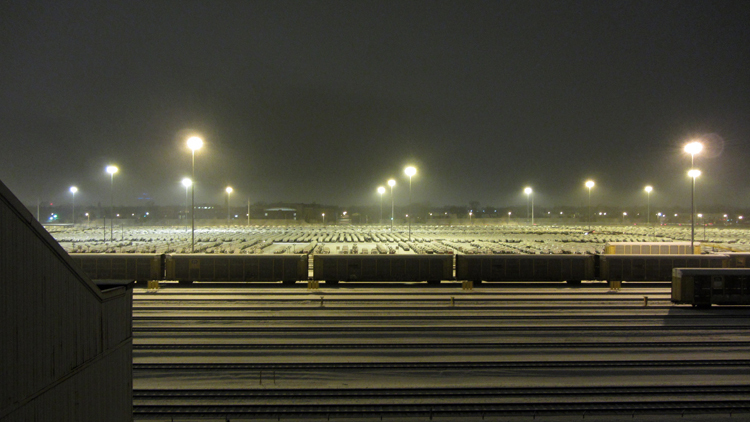 The fact that one whole side is also guarded by an active rail yard is an additional buffer. The cars here are basically just waiting to be loaded onto the railroad trains to be shipped to distribution points across the country, and from there on to the dealerships. 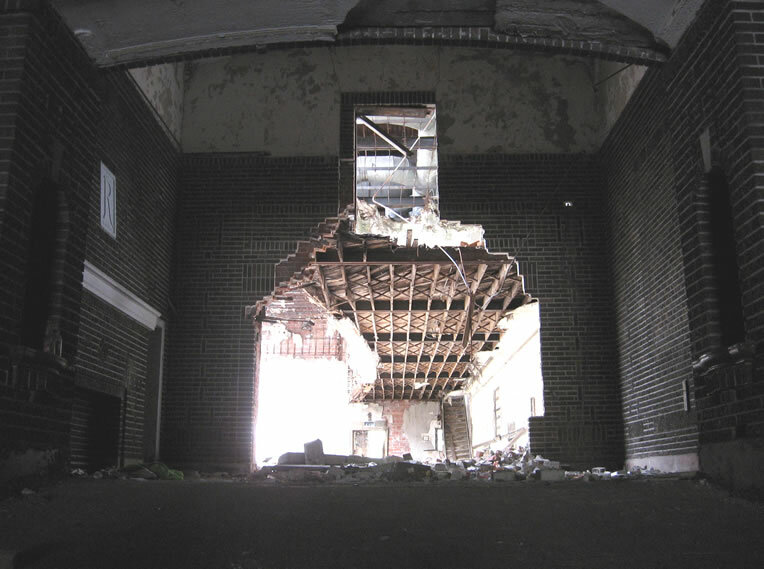 Aside from GM's Poletown Assembly Plant, Jefferson-North is the last remaining auto-manufacturing plant in the city of Detroit. 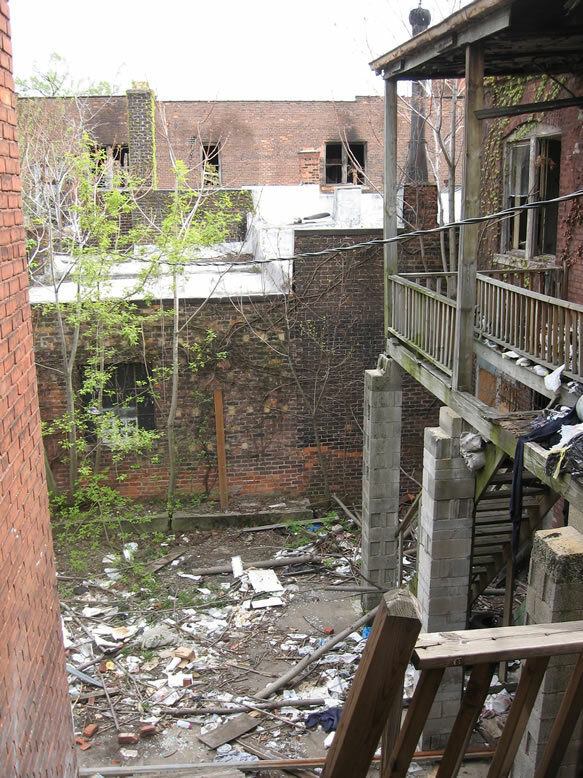 After leaving a party in Hamtramck, Chisel and I decided to cruise by the Budd and check on the potential access point we had been scouting. It was 4am on Christmas Eve, we were full of liquid courage, and a sudden heavy snow squall began hammering the city as we were driving...we could not have asked for a better combination of conditions to pull off such a risky mission, and we knew it. It was now or never, so we commenced to lay down our attack with an extremely firm pimp hand. Why wait 'til Christmas morning to open your presents? Over the previous months we had spent some time sitting across from the plant's front gate staking out the security guards to note their habits, and their patterns did seem exploitable. Dodging the security vehicle, we ran about 500 yards across mostly open ground with occasional cover to the gaping bay doors at the north end of the building. 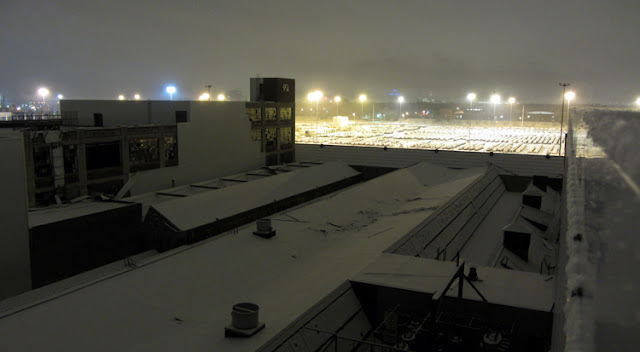 The snow was already falling fast enough to hide any tracks we made, and better yet, it would tell us how often the guards made rounds in their car. Panting in the frosty air, we halted just inside to rest and listen for any activity, and make a cursory check for any motion detectors or cameras, though it was highly unlikely that there would be any in here. 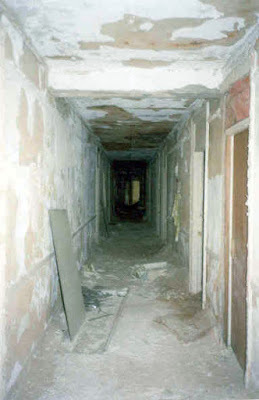 Once inside we decided to make a beeline for the upper levels in case a foot patrol came after us, and where we would be less likely to encounter any alarms or cameras. We would also be able to look out the windows to see what the guards were doing. Looks like some employee needed to blow Budd Co. a goodbye kiss. After awhile it became evident that we would most likely find no security systems installed in this place. Handheld low-light photography while drunk at 4am proved to be more challenging than initially thought, so sitting the camera down on an object and using the timer quickly became the preferred method. The tendency is to automatically ascribe any auto factory in Detroit to Albert Kahn, and one must avoid this common fallacy, but I am definitely leaning in that direction in the case of Liberty / Budd, at least for the oldest parts of this complex. 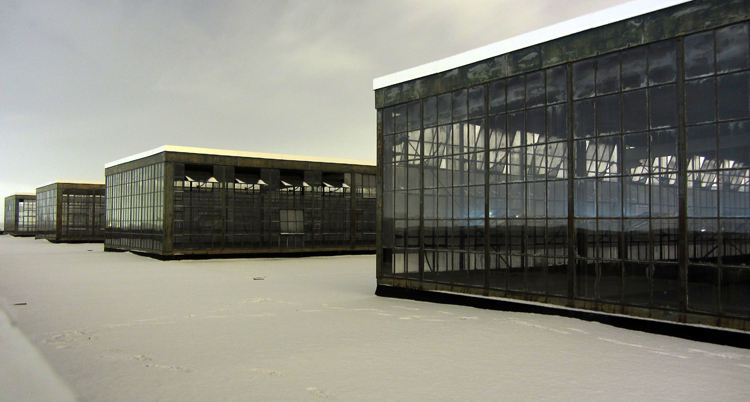 A hit I found in the online photo archives of University of Michigan's Architecture & Engineering Library seems to point to this plant being designed by Kahn, and that it was built in 1920. 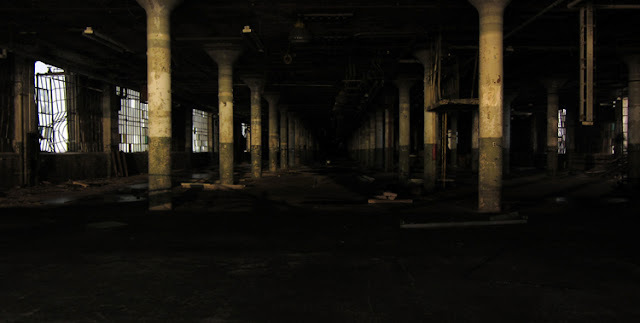 But the concrete-constructed buildings here were rather unfamiliar to me, in that unlike the Packard and other similar plants I was used to, this one had high ceilings and a large space between two main rows of columns. 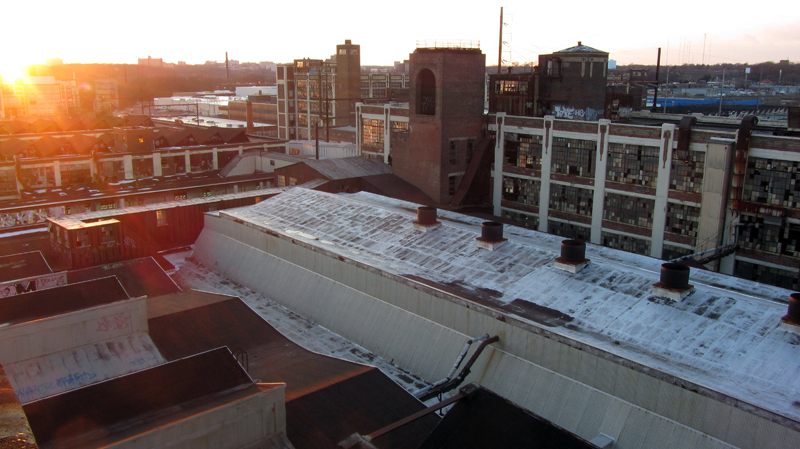 As it would turn out when I visited the abandoned Budd Plant in Philadelphia some years later, this was a hallmark of Budd's facilities; both plants shared certain key characteristics that were almost identical. 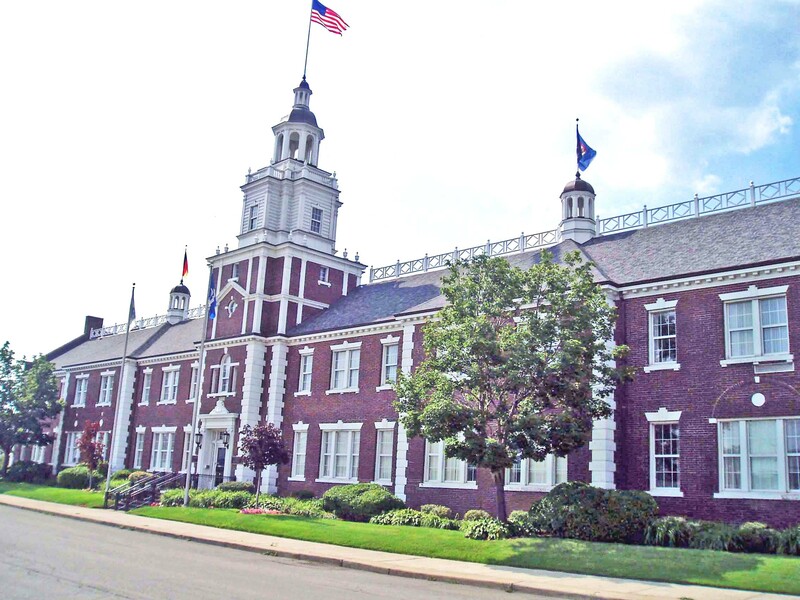 I have a hunch that some of these buildings were designed by Albert Kahn, but much of the complex may have even been designed by Ballinger Co., the architect who designed Budd's Philadelphia plant on Hunting Park Avenue. For reference, the height in that shot is two or three stories tall, and the lighter area is about 300 yards away. 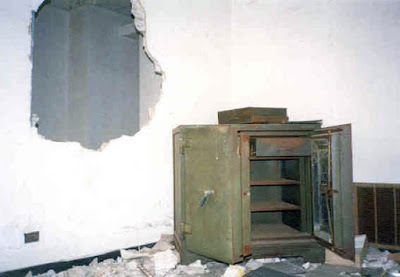 It was where the mammoth stamping presses would have been housed. 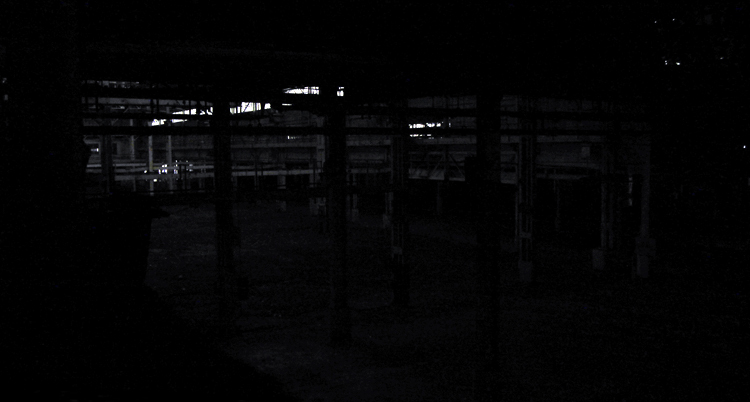 Clearly I just did not have the equipment to get usable shots in here at night. 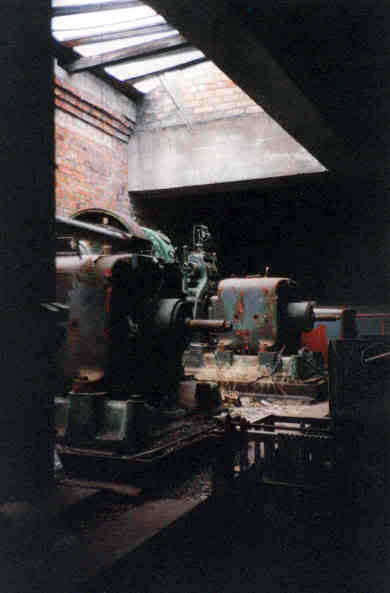 There are some photos of the plant and this equipment when it was operational in a pamphlet from 1972, found at http://digital.hagley.org. 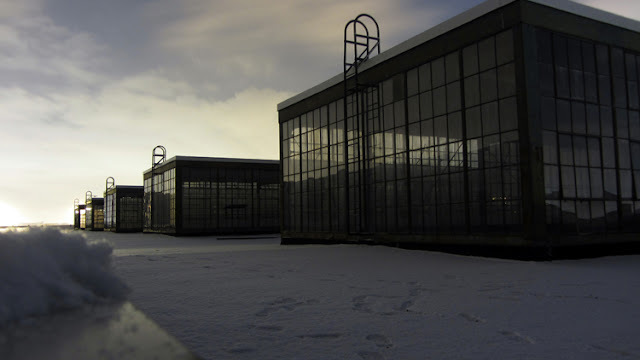 We decided to make our way to the roof, to get an idea of the layout of the plant and where we were in it. Far away, we could see the clocktower of the "Independence Hall" front office building (CLICK for photo), and set our sights for it. According to detroit1701.org, "Detroit is the only metropolis where you will find two full-sized and well executed replications of Philadelphia’s Independence Hall." One is the Henry Ford Museum in Dearborn, and the other is the front office of the Liberty Motors Plant. So naturally when Philly-based Budd Co. moved into the former Liberty plant in the mid-1920s, they probably felt right at home in this Independence Hall-shaped office building. Liberty Motors was one of the multitudes of smaller Detroit automakers in the 1900s, organized by Percy Owens in 1916. Before founding his own car company, he had experience as the sales manager of Winton Motors, opened the first automobile salesroom in New York City, and in 1908 became the sales manager for Chalmers Motors (which was one of the main companies eventually merged to form the Chrysler Corporation). Owen also went on to a position as vice president of Saxon Motors, and upon leaving to form his own manufacturer, he installed several former Saxon employees in positions at Liberty Motors. A very handy reference book by Robert Szudarek, entitled, How Detroit Became the Automotive Capitol says that the Liberty car was powered by a Continental 6-cylinder and in many ways was the first car designed around the preferences of drivers themselves. The first factory was at 101 Lycaste, with this one being built in 1920, though at the time it only covered 12 acres; the giant complex seen today was mostly built later, expanded by Budd Co. In 1921, Liberty produced 11,000 cars, but they were in receivership by 1923 due to failures in securing the needed components from their suppliers in a timely manner. The assets were acquired by Columbia Motor Co., who also went bankrupt in 1924 after building a few more Liberty cars here from the leftover parts. According to the book The Technology Century put out by the Engineering Society of Detroit, GM's acquisition of Fisher Body Co. in 1926, as well as Nash Motor Co.'s acquisition of Seaman Body Corp. spelled the end of the days when numerous independent coach-builders thrived in Detroit. One exception to this however was Edward G. Budd Mfg. Co., who moved into the old Liberty plant by 1925, in response to a growing demand for practical all-steel auto bodies. The website coachbuilt.com says that by 1915 Budd Co. had been manufacturing bodies or parts for many auto companies, including Willys, Dodge, Buick, Reo, and Ford, as well as truck bodies for Packard and Peerless. What put Budd on the map however was producing the first ever all-steel bodies. They did it for Huppmobile in 1909, and for Oakland Motors (which became Pontiac) in 1912. According to Hupp's chief engineer, Emil Nelson, he could not find a single coach-builder in Detroit that would agree to produce an all-steel body (I'm thinking because it would have put too many carpenters out of work). So Nelson decided to travel to the "Workshop of the World" and contract with Edward G. Budd, who was apparently more than happy to expand into the "budding" Detroit auto industry. During WWII, Budd Wheel produced rocket fuses, 155mm shells, brake drums, and truck wheels for the U.S. Army. Budd moved into the former Liberty Motors Plant, and remained there for 82 years (though they were acquired by Thyssen-Krupp AG in 1978). 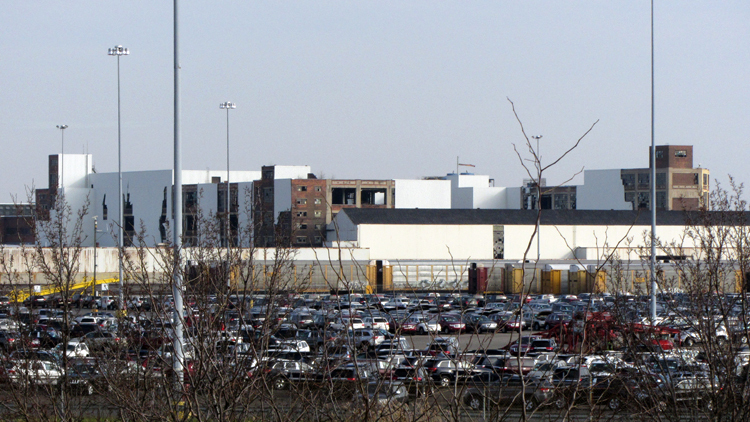 Thyssen-Krupp used this plant to make bodies and parts until 2006, but in 2007 pulled up stakes, though they remained headquartered in Troy, Michigan. 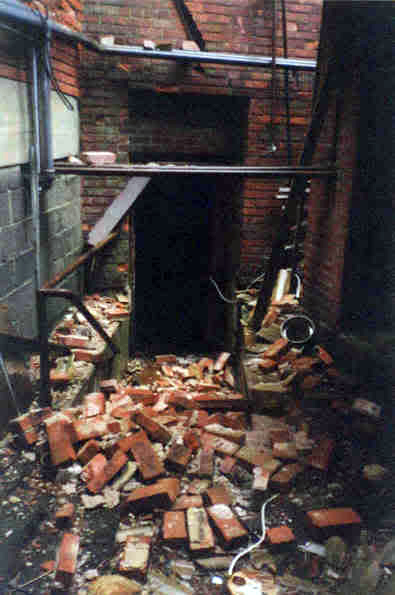 This plant's stamping presses were disassembled and shipped to Mexico at that time, and the complex has remained silent ever since. I am including even some of my blurry shots, because security has since been clamped down at the plant and Chrysler is using it to store new cars again, so getting back in for more photos is pretty much out of the question. 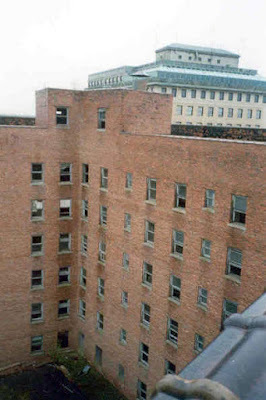 This taller concrete building that we were standing in was marked on the map as "Factory Building," with a "Paint Laboratory" on the 5th floor. We did not end up making it all the way to the front office building, much to my dismay, as I really wanted to climb the clocktower of Independence Hall, but the late hour and the cold were really beginning to wear on us. Our beer buzz was fading, and we weren't really dressed for a protracted cold-weather mission, so we were forced to retreat. Part of it was that we had a hard time finding a usable stairwell from the building we were in to get down into the next building, which would've been part of the original Liberty Motors complex. 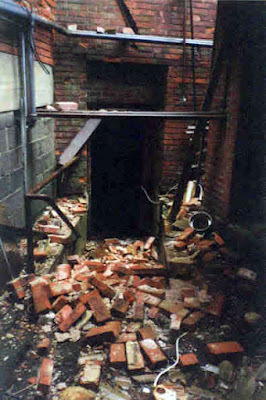 If I recall correctly, we may have ran into a locked door that we couldn't get around. This part of the plant was definitely built after 1929. The guard did do frequent rounds, and he seemed to like sitting in the huge barren lot out back with his lights off, which made us kind of nervous. We noticed he drove around the entire building, sometimes in the interior courts, and probably inside the buildings sometimes too. He may have seen our (very faint) footprints, but I'm not sure. We had no problems, but when we were trying to leave he was sitting out in that field as if he was waiting for us. We skirted along the edge again and hustled out of there with no issues. The road conditions on the way home however were nightmarish...out of all the idiots on the road, we were the only ones who could manage to avoid wiping the f#$% out. We saw more wrecks on that short drive home than we had all year long--one of which we only avoided becoming a part of thanks to Chisel's sharp winter driving skills. This factory was demolished by implosion, in June of 2017 (Youtube LINK). See also my post about the buildings on Old Mack.